WASHINGTON — House lawmakers on Monday advanced plans to extend disability benefits for nearly 90,000 “blue water” veterans exposed to toxic chemicals during the Vietnam War but until now denied compensation for that danger. The move was hailed as a major breakthrough by veterans advocates, but it will likely take several months before the Senate moves on the same plan and officially starts the process of getting payouts to those elderly veterans. The House approved the plan by a vote of 382-0. It now heads to the upper chamber, where Senate Veterans’ Affairs Committee Chairman Johnny Isakson, R-Ga., has called the issue a top priority for the remainder of the year. However, that committee must first tackle the confirmation of VA Secretary nominee Robert Wilkie, a process that starts with a hearing this Wednesday. That work will delay hearings on the new benefits bill for at least a few weeks, leaving no clear timetable on when the legislation may be completed. Advocates are hoping lawmakers will take another look at legislation giving compensation to Vietnam veterans exposed to Agent Orange during their tours in the waters of southeast Asia. On Monday, bill sponsor Rep. David Valadao, R-Calif., called the House vote long overdue. Under current department regulations, Vietnam veterans with rare cancers and other illnesses can receive medical care from VA but are not always guaranteed disability benefits. Troops who served on the ground in Vietnam or patrolled inland rivers during the war are assumed to have been working with or near Agent Orange, and are given special status when filing disability benefits claims to speed up the process. 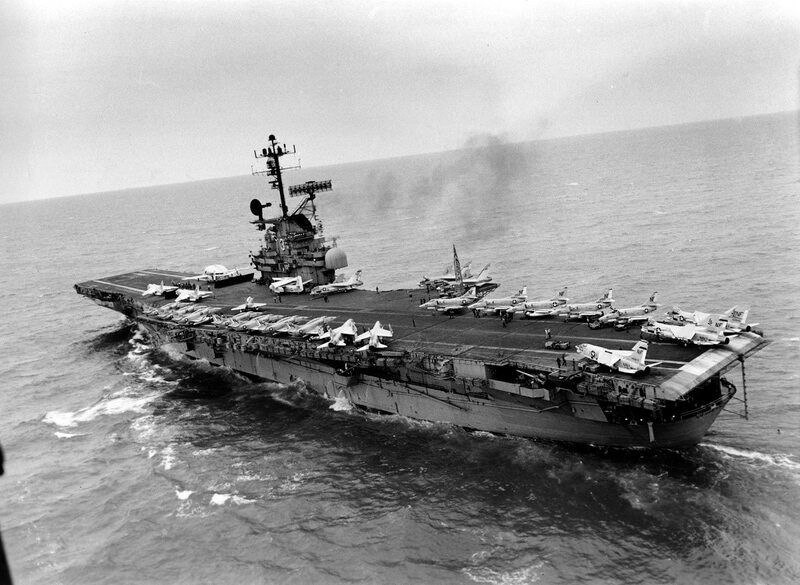 But so-called “blue water” veterans — who served on ships off the coast of Vietnam — still need to prove direct exposure to Agent Orange for their illnesses to be labeled as service-connected. In many cases that’s impossible, since scientific evidence from the ships was never collected. Lawmakers in recent years pushed to fix the oversight and mandate the special status for sailors who served off the coast. But they have also struggled with how to cover the costs. Last month, lawmakers on the House Veterans’ Affairs Committee reached a compromise to raise that $1.1 billion through a new fee on department-backed home loans. It’s expected to cost a typical veteran homeowner about $350 over 10 years, but only about 60 percent of borrowers will be required to pay for it. Most veterans with a disability rating who use the home loan program will be exempt. House Veterans’ Affairs Committee member Mark Takano, D-Calif., called that a fair solution because “it does not cut benefits for one group of veterans to pay for the benefits of others.” VA home loans are a voluntary program. The House-passed bill also extends presumptive exposure status to veterans who served in the Korean Peninsula demilitarized zone beginning in September 1967 and lasting until August 1971, the same end date for the Vietnam War. And the measure makes several additional changes to the VA home loan program, including eliminating the cap on loans department officials can offer.